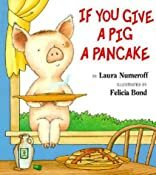 If you Give a Pig a Pancake was written by Laura Joffe Numeroff. 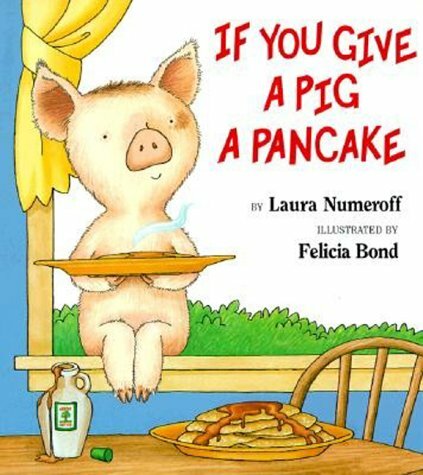 If you Give a Pig a Pancake was published by HarperFestival. 10/3/2010 GooGooGalleryKids @Etsy said: My daughter's favorite book at the moment. It's about a mischievous pig and a little girl who after inviting the little pig to dine on pancakes, spends all day succumbing to her ridiculous demand! Full of adorable illustrations! 11/24/2009 J Rush said: I loved these books when I was little. However this partcular one was my favorite because I love pigs and pancakes!!!! 10/10/2008 Rita Hensel said: Please visit my blog to read my review.